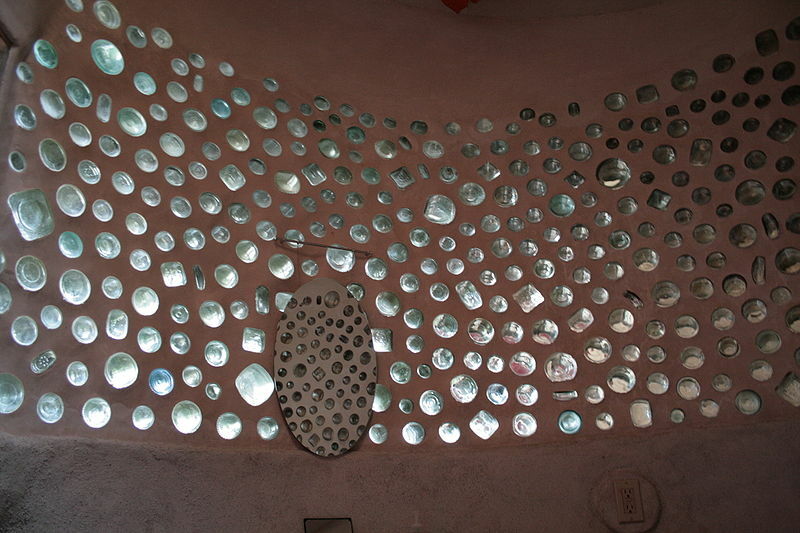 An Earthship is a type of passive solar home made of natural and recycled materials. 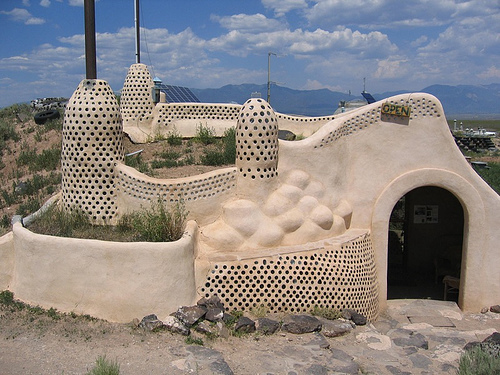 Designed and marketed by Earthship Biotecture of Taos, New Mexico, the homes are primarily constructed to work autonomously and are generally made of earth-filled tires, utilising thermal mass construction to naturally regulate indoor temperature. They also usually have their own special natural ventilation system. Earthships are generally Off-the-grid homes, minimizing their reliance on public utilities and fossil fuels. Earthships are built to utilize the available local resources, especially energy from the sun. For example, windows on the sunny side admit light and heat, and the buildings are often horseshoe-shaped to maximize natural light and solar-gain during winter months. Likewise, the thick, dense outer walls provide effective insulation against summer heat. The roof of an Earthship is heavily insulated – often with earth or adobe – for added energy efficiency.The Earthship was designed as a structure that would exist in harmony with its environment and be freed from the constraints of modern shelters which rely on centralized utilities. 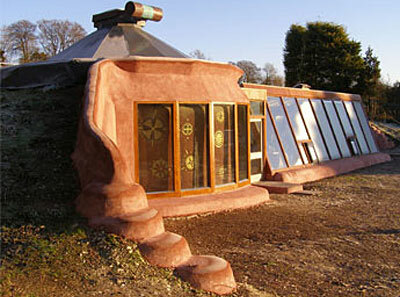 It is important that the Earthship create its own utilities as well as use readily available and sustainable materials. In order to be entirely self-sufficient the Earthship needs to be able to handle the three systems of Water, Electricity, and Climate. While these systems are not exclusive to Earthships, a properly designed Earthship must have these systems. Earthships can be built in any climate, anywhere in the world. The following can help you understand the Earthship concept and how to proceed with it…Make sure you understand what makes an Earthship an Earthship. Earthship Biotecture design principle: ‘Thermal/Solar Heating & Cooling’ details how earthships maintain comfortable temperatures in any climate. See a You Tube video about Mike Reynolds, vision. This is sensational, it’s special. We should spread it around the world. A new way to live and build. It’s more than proven that we need not consume as much. Everyone should know this by adapting sustainable solutions to each situation, to every home on each situation. Great job Mr. Mike!